On a recent field trip to Ghana, I met Nlidok. She thinks she is around 25 years old. She comes from a farming background and has never been to school. She is married to a man chosen by her father, lives in extreme poverty and has little control over her life. When she was growing up she dreamed of marrying a boy that she loves. But at the age of 15, she told me her father chose a man for her to marry. When Nlidok said to her father that she wanted to marry her boyfriend, he beat her and forced her to go the man’s home. Nlidok escaped in the night and ran back to her boyfriend’s place, which was about 8km away. However, her father found her, took her back to the man’s home and beat her again. Courageously, Nlidok ran away a second time. Again they found her. This time they took her over 100km away from her village to stay with the man’s relatives. She lived there for a year, without any of her belongings or her own clothes. All she had was the dress she was wearing the day she was taken away. The man’s relatives used her like a slave and nobody came to visit her. One year later she was taken back to the man’s house. She was planning to run away a third time, but her father threatened he’d put a curse on her. He also told her that if she ran away a third time, he would disown her and that he’d also make her mother leave his house forever. Worried what would happen to her mother, Nlidok ended up marrying the man. She has now been married for 14 years; she is miserable, repressed and neglected. As one of two wives, she feels her husband doesn’t care about her at all. When she’s sick, her husband doesn’t have time for her. She told me she struggles to buy her own clothing, that she is given just millet or maize to eat, and that no money is provided for her basic needs. She is unable to get a job because she has three children to care for and, of course, she never went to school so has few skills. She has two girls (14 and 10 years old) and one boy, aged eight. All three children go to school and Nlidok actively encourages their studying. 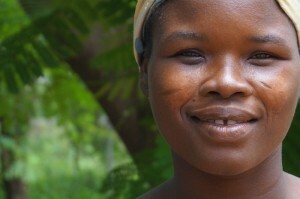 Nlidok’s friends from her childhood are now working and earning so they don’t suffer like her. They have enough money to spend on what they need. They are still her friends but she would have liked to have had the opportunities they have. 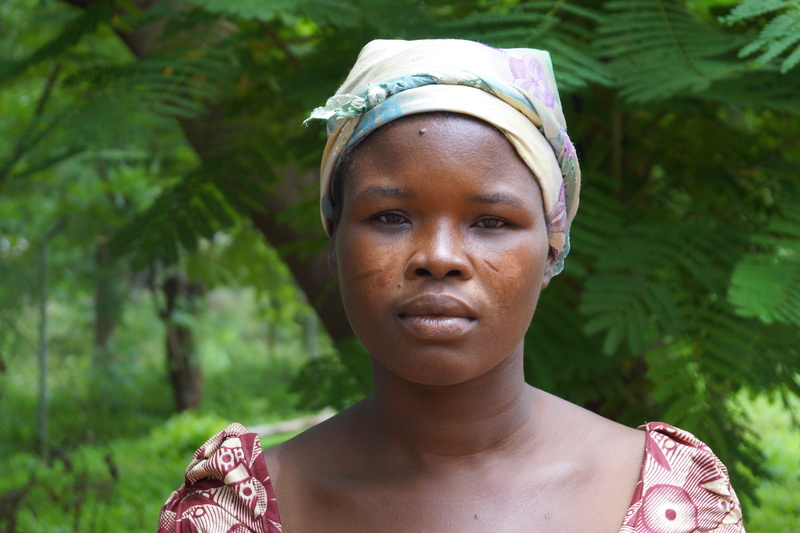 Nlidok is locked in a loveless marriage for the sake of her three children. However, she is starting to gain confidence in speaking out about Early and Forced Marriage (EFM) in her local community and wants others to learn from her experience. The Grassroots Sisterhood Foundation is one of African Initiatives’ partners in Ghana. They are working to change local attitudes towards EFM in northern Ghana to make sure that fewer girls in the future will have to live like Nlidok. Nlidok’s story makes me so proud that African Initiatives launched our ‘School not Slavery!’ Child Marriage Appeal on International Day of the African Child (16th June). We are asking International Development Secretary Justine Greening to urgently escalate spending on girls’ education in sub-Saharan Africa to end child marriage now. We are also hoping to raise £10,000 so we can help more girls to escape child marriage. Evidence shows that when girls are educated they have more control over whom and when they will marry. That’s why our work advocating for a girl’s human right to an education is so crucial. Please, please show your support and sign the petition here. And please make a donation to our ‘School not Slavery!’ Child Marriage Appeal.